Whether you're going on holiday or attending to business overseas, the process of traveling can be a stressful experience - especially for your skin. Not only are you sharing a closed airplane cabin with hundreds of strangers, but the pressurized environment uses recirculated air that draws moisture from the skin, making it feel dehydrated, dry, and dull. 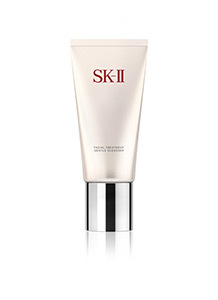 The next time you're scheduled for a long-haul flight, pack your carry-on with the right travel-sized arsenal of SK-II skincare products, and you can have moisturized, glowing skin by the time you're buckling up for landing. Follow our steps below to look enviably refreshed and radiant upon arrival. Since you'll be trapped in the germ-ridden plane cabin for the next few hours, make sure your skin is clean and free from makeup early on in the flight - just after the Fasten Seatbelt sign has been turned off. Slip into the bathroom and cleanse your face with Facial Treatment Gentle Cleanser to rid your skin of any impurities. The low humidity and recycled air in the cabin mean that your skin is being sucked of its moisture, resulting in dehydration, dullness, and intensive stress on your skin. Give it all the protection it can get with Facial Treatment Essence, which not only soothes and restores radiance to your skin, but also maintains your skin barrier so that moisture stays locked in. 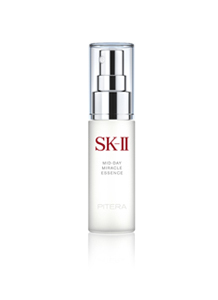 Keep the Mid-Day Miracle Essence spray within reach to instantly refresh and hydrate your skin throughout the flight. There's no better way to get an exceptionally powerful boost of much-needed moisture than with a super-hydrating facial mask. Ignore any curious stares from fellow passengers and pamper yourself with a Facial Treatment Mask. 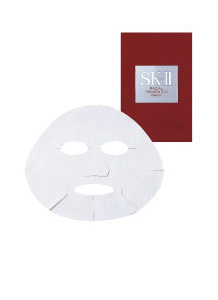 Loaded with a high concentration of SK-II's signature ingredient Pitera, the mask will immediately restore your skin's suppleness and radiance, so you can disembark looking remarkably refreshed. Staying hydrated both inside and out is incredibly important while flying, so drink plenty of water throughout the flight and apply R.N.A. 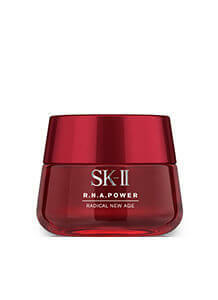 Power after the mask to lock in moisture. 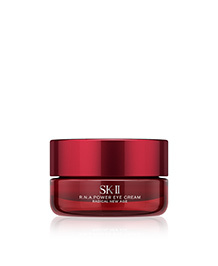 The velvety cream is quickly absorbed to keep your skin moisturized, while it also strengthens and firms skin to combat multiple signs of aging like wrinkles and sagging as you're crossing timezones. Reapply as often as necessary during the flight. Don't forget about your eyes, which are especially susceptible to onboard damage from the dry air and less-than-ideal sleeping conditions. Use Stempower Eye Cream on your all-important eye area to help minimize the appearance of dark circles and to keep your eyes looking bright.